The 2011 edition of the C.A.R.E. Guide contains student activities, educator reflection opportunities, and video clips of experts sharing research and practice tips for educating culturally diverse students and students from low-income families. Your student is about to start the most important year of high school - perhaps the most important year of school so far. This is the year that will set the stage for whether they will graduate and whether they will be ready for college. Showing up on time every day is important to your child's success and learning from preschool forward. Corresponding document on 'Understanding and Responding to Escalating Behavior' presentation by Dr. Sugai and Dr. Colvin. A tool for SWPBS self-assessing admin support, team-based system, use of data, policies, products (e.g., handbook), district support, family involvement, budget, and visibility. 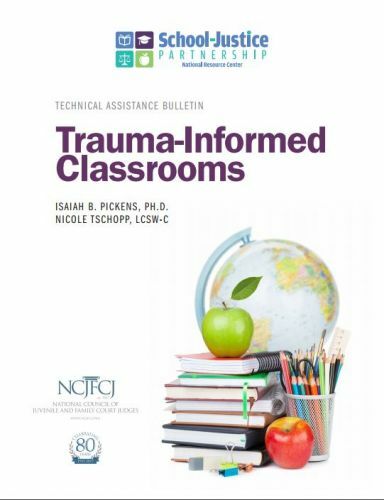 What can be done at school to help a traumatized child? Please sign up to receive special email updates and alerts from the site, including our School-Justice Partnership Project Newsletter. 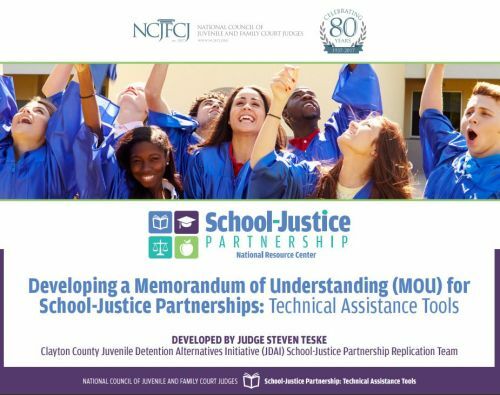 © 2018 School-Justice Partnership. All Rights Reserved. Supported by NCJFCJ.